The advent of scanning equipment has been a godsend for scientists. The ability to reveal contents without having to open up fragile artifacts or dig into the ground brings experts closer to the facts than ever before. 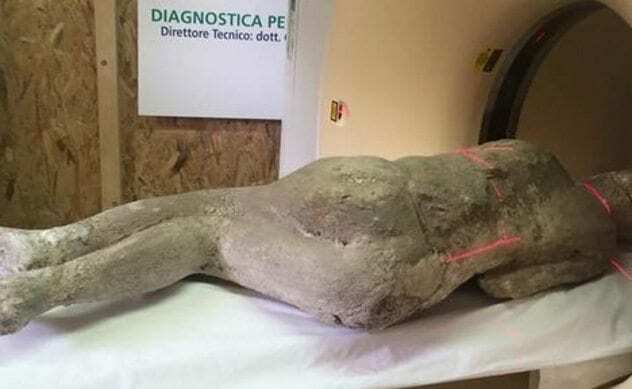 But as instantly as scans can solve ancient enigmas, they can turn everything into the sort of mess that researchers love to tangle with. From discovering architecture that makes no sense to having artifacts turn out to be something entirely different than previously thought, scans have become an invaluable tool for understanding the real history of the world. Borgring is a Viking ring fortress, the fifth to be discovered in Denmark. In 2016, a metal detector sounded hopeful while hovering over a clump of soil. Archaeologists took the small, earth-encrusted object they found to a local hospital. 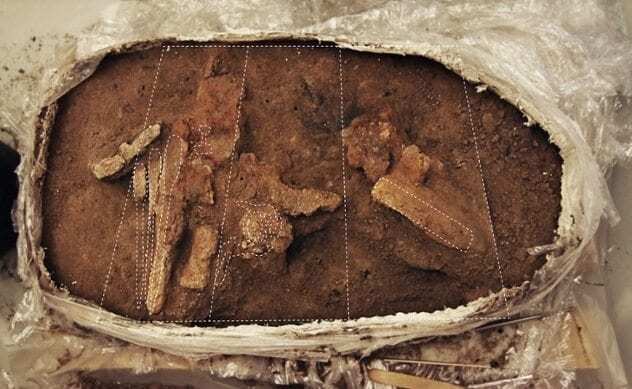 Graciously, the medical folks gave permission for their CT scanner to be used, and it revealed one of the most valuable finds ever made at the fort: the remains of a Viking Age toolbox. Iron was highly prized by the Vikings, and to find such a complete set of tools anywhere in the world is very rare. The wooden box is long gone, thanks to the magic of rot, but the CT scan showed what could be carpenter’s tools. The 14 pieces include what appears to be a drawplate as well as spoon drills. Most require further work to determine their exact nature. Signs of a structural collapse at the gatehouse, where the artifacts were buried 1,000 years ago, hint that the owner was forced to leave the precious tools behind. A clear sign of Roman conquest, apart from the hordes of soldiers, was well-engineered roads appearing all over the place. Britain in the first century AD was no different. 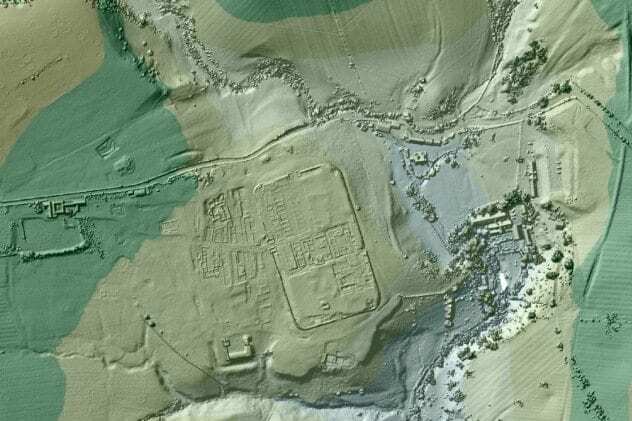 The Romans stamped an imposing network all over the countryside. Stripped of their stones or farmed over, the roads’ disappearance erased what was known of the armies’ travels from one city or town to another. Some of the ancient highways have come to light. Since 1998, the UK’s Environment Agency has lasered over 72 percent of England’s terrain and has made the scans available to the public. The project, meant to study flooding and coastlines, has provided a wealth of information for those trying to fill in the gaps. One history hobbyist, David Ratledge, who has spent 50 years sniffing out Roman routes, used the data to find a 17-kilometer (11 mi) stretch of road linking Ribchester to Lancaster. Two other archaeologists also plumbed the Agency’s research and discovered a lost part of a Roman path called the Maiden Way. When Mount Vesuvius destroyed the city of Pompeii in AD 79, it left a petrified wedge of history behind. Life in the city froze for 1,800 years, providing a smorgasbord for modern researchers. In 2015, they managed to peek inside the iconic casts of citizens and animals found throughout the ruins. The casts’ exteriors were good for studying faces, what people wore, and sometimes the reaction to their impending death, but scans were needed to investigate the insides. The CAT machine used in the study could only admit remains friendly to a 70-centimeter-wide (28 in) space, which meant that most corpses only had their heads and chests scanned. An orthodontist looked at the ancient teeth and noted that the people from Pompeii were overall very healthy. Their dental health showed a diet better than most modern eaters, with few sugars and a lot of fruits and veggies. This goes against the popular image of the outrageous food- and wine-gorging banquets held by the Roman elite. The 3.18-million-year-old human ancestor called Lucy made waves when she turned up in Ethiopia in 1974. 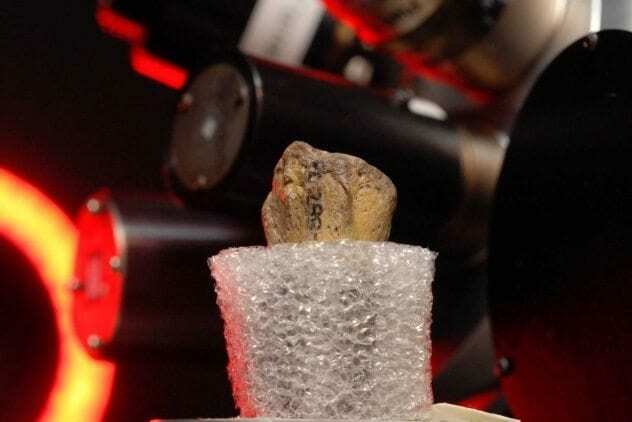 An adult Australopithecus afarensis, Lucy is the oldest upright-walking hominid ever documented. Ever since she was found, scholars have debated fiercely about her preferred environment. Was she an exclusive ground walker, or did she, on occasion, also take a good swing between the branches? How she died might provide the answer. A high-resolution CT study in 2016 showed that Lucy has several fractures. The pelvis, ribs, knees, ankles, and arm all cracked during an event matching an impact with the ground from a 10-meter (33 ft) height. Since there are no signs of healing, this is likely what killed the famous hominid. While nobody can say for sure, it’s highly possible that she fell out of a tree. Ironically, experts believe Lucy’s evolved ability to walk upright could have made her climbing ability less sure. Dr. Robert Ballard is no stranger to great discoveries. He found the German battleship Bismarck as well as the Titanic. He may have even found the Biblical flood. The marine scientist was more interested in finding a civilization that had perished during the inundation of the Black Sea than proving that Noah’s boat floated, though. In 2000, Ballard’s ship used sonar to map a 500-square-kilometer (200 mi2) area near Sinop, Turkey. Flood myths linked to the area include the Epic of Gilgamesh and the Genesis deluge. Video-equipped robots investigated anomalies 90 meters (300 ft) down and found two ancient ships belonging to the unlucky community. Then came stone tools, ceramics, and a foundation measuring 3.7 meters (12 ft) by 7.6 meters (26 ft), complete with a collapsed home and roof structures. More wattle and daub shelters also turned up. The unknown culture lived next to the Black Sea when it was still a freshwater lake. Geological scars tell of the eventual disaster. 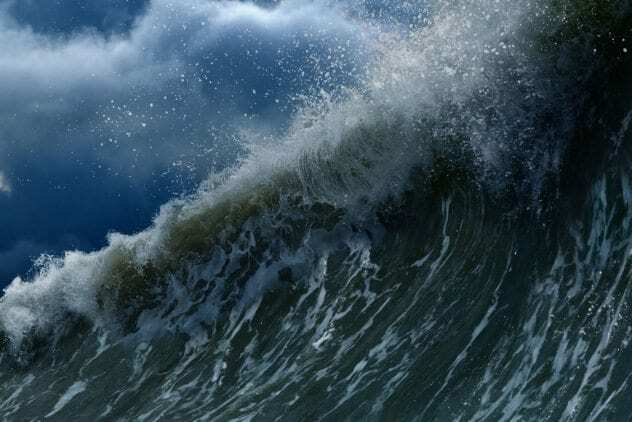 Around 7,000 years ago, the Mediterranean Sea is believed to have risen and fed into the lake, rapidly submerging almost 250,000 square kilometers (100,000 mi2) of land. 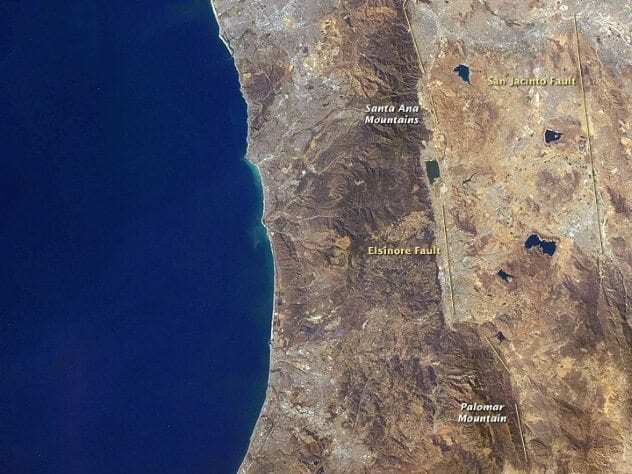 When a massive earthquake shook the San Diego area in 1800, its origins remained obscured for 200 years. Despite trying, nobody could identify the fault that bucked. In 2012, scientists renewed the hunt for this mysterious rupture. The main suspect was the Clark Strand, located within the San Jacinto Fault Zone. Using a light aircraft, the team laser-scanned the geological features along the fault line. This technique allowed them to see the ground contours perfectly, even where they were covered with thick vegetation. To double-check the results, the researchers went old-school and measured the entire thing again, this time on foot. Comparing the field mission data with the laser results and throwing in some radiocarbon dating, too, they identified a telltale displacement that had moved 4 meters (13 ft) around the time of the 1800 shaker. The size of the shift fits with the San Diego event’s velocity and effectively identifies the Clark Strand as the culprit. Two centuries is the average time that the fault takes to produce another major rumble, which means that the Clark Strand is already overdue. 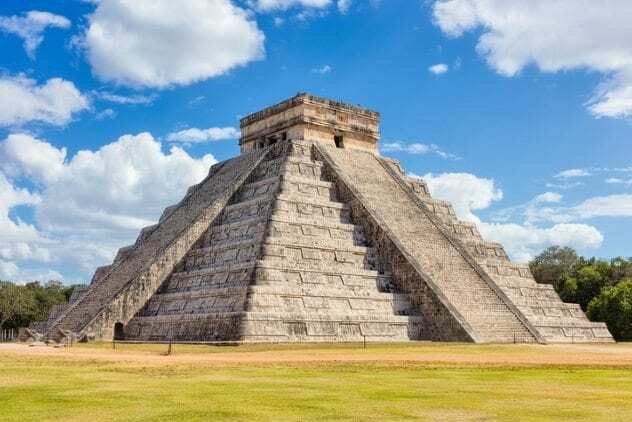 El Castillo, aka the Temple of Kukulkan, is a monument to weird architecture. Built by the Maya, it stands today as part of the Chichen Itza complex in Mexico. During the 1930s, archaeologists were intrigued to find that a second pyramid nestled within. The structure was about 10 meters (33 ft) shorter than the roughly 30-meter (100 ft) Kukulkan pyramid. In 2015, it became clear that the whole thing was constructed on a cenote (sinkhole lake). The Maya held such lakes as sacred, which could be why the location was chosen. Incredibly, a year after that, scanning revealed a third pyramid. Sitting at the heart of the second, it is also 10 meters shorter than the pyramid above it. The pyramids weren’t created at the same time. The baby pyramid was constructed between AD 550 and 800 and the second between 800 and 1000. The visible El Castillo is the newest, as it was completed somewhere between 1050 and 1300. When the Maidstone Museum in England received a hefty donation, staff decided to brush up on their Ancient Civilizations gallery. They wheeled a trove of artifacts over to the Kent Institute of Medicine and Surgery for a CT scan in 2016. Such a noninvasive technique was perfect to inspect the fragile collection without damaging it. 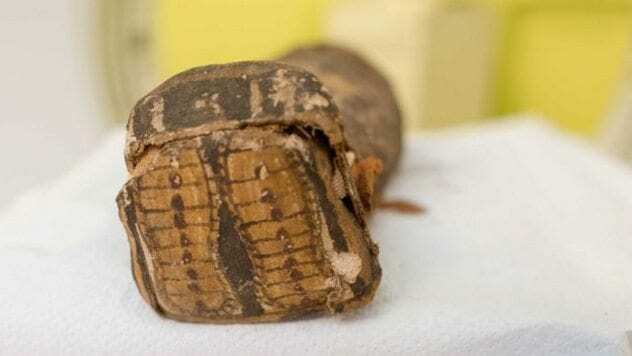 One item was tagged as “A mummified hawk with linen and cartonnage, Ptolemaic period (323 B.C.–30 B.C. ).” The minute sarcophagus contained a wrapped mummy up to 2,300 years old. After it was scanned, the results shocked the Institute experts. Instead of a bird of prey, the tiny coffin contained a human fetus that had been miscarried at around 20 weeks’ gestation. This begs the question of why a child would be passed off as a bird. One fringe theory speculated that it was the love child of a pharaoh, hidden to avoid a scandal. However, the Maidstone Museum pointedly stated that there is little evidence for such a claim. William Shakespeare’s remains haven’t always been treated with respect. Being one of the most revered writers in existence seems to have turned him into a target for fans craving bits of Shakespeare as mementos. In 1879, such a desecration was reported in the UK’s Argosy magazine. 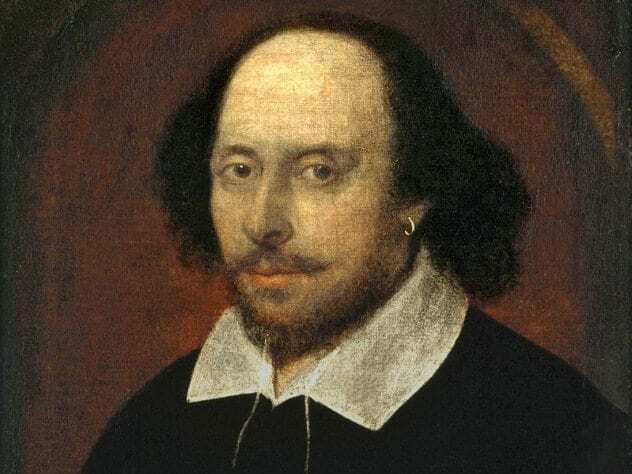 The story claimed that the Bard’s head had been removed by trophy hunters during the previous century. To find out if this was true, the Stratford-upon-Avon church where Shakespeare was buried gave permission for the 400-year-old grave to be scanned in 2016. Using ground-penetrating radar, it soon became obvious that not all was peachy. Buried beneath the church floor, next to his wife, Shakespeare’s nameless tomb wasn’t uniform when the results came back. The head area looked different, almost interfered with, while the rest of his body had no such signatures. Shakespeare’s grave isn’t allowed to be opened, but researchers believe the radar images back up the story that his skull was stolen. A 2015 scanning project of the ruin-rich Angkor sites in Cambodia turned up something inexplicable. Archaeologists coined the term “dome field” to describe the mysterious sites. 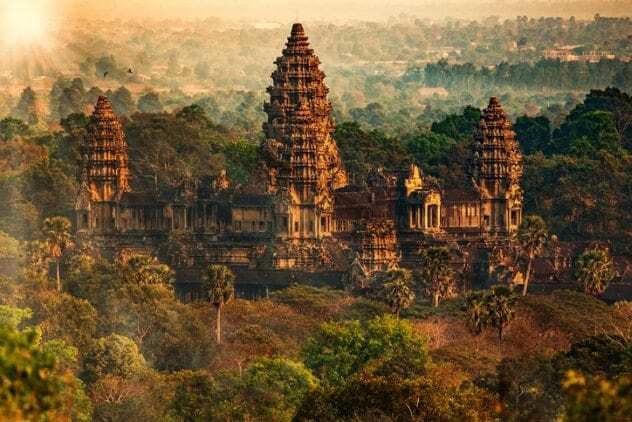 Helicopters with laser equipment scanned the Cambodian jungle, covering some 1,904 square kilometers (735 mi2) when they found strange, earthen mounds. There was nothing random about the heaps; they were arranged in perfect grids. Found within the remains of 1,000-year-old cities, the pointy shapes refuse to yield their secrets. A ground study and even excavations of the mounds could not determine their purpose. Most of the cities that were scanned belonged to the Khmer Empire, which is credited with archaeological wonders such as the temple of Angkor Wat. One city in particular, Mahendraparvata, appears to have much of its roughly 50-square-kilometer (20 mi2) surface covered with the peculiar grids. They remain one of the most puzzling discoveries to come from the Khmer culture.